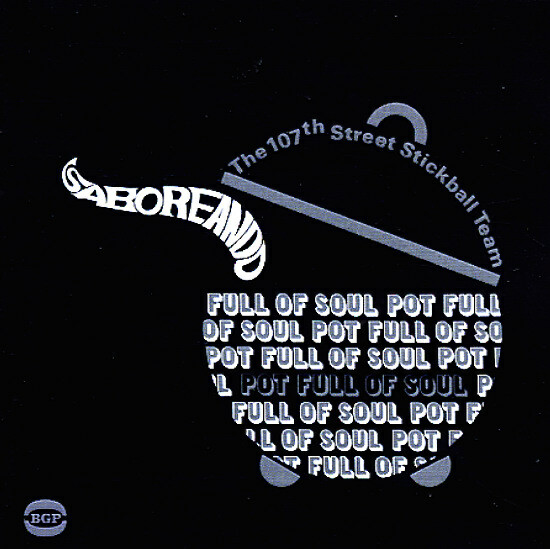 Lost grooves from Spanish Harlem – an incredible set of Latin Soul from The 107th Street Stickball Team! With a name like that, the group certainly aren't as well-remembered as contemporaries like Joe Bataan or Willie Colon, but they've got a soulful groove that definitely fits the style of the time – a sweet uptown blend of Harlem soul and Latin rhythms – with the same blend of sweet soul ballads and uptempo groovers you'd find on some of Bataan's classic albums for Fania Records! Bobby Marin put the whole album together, with a tight groove that's very similar to his work for Speed Records – played here by a group that includes Orlando Marin, Louie Ramirez, Ozzie Torrens, and Joey Pastrana – all kings of Latin Soul at the time! Vocalists include Butch Johnson and Danny Agosto – but there's a real group feel to the record, with lots of harmonies behind the lead – the kind of streetcorner soul you might have heard while catching a stickball game on one of the side streets up north of Harlem. Titles include "Toma Guajira", "Look To Me", "You Put A Hurt In My Heart", "Rhythm & Soul", "Mojo Shingaling", "Barbara With The Kooky Eyes", "Tell Her I Love Her", and "Let Me Do My Thing". LP features unreleased tracks – "Lost In The Jungle", "Hey Mama", "Rose Marie With The Funny Knees", and "Come Live With Me". © 1996-2019, Dusty Groove, Inc.